Most recently, Anthony has received tremendous acclaim for his outstanding portrayal of Count Fosco in The Woman In White at the Palace Theatre in London’s West End. 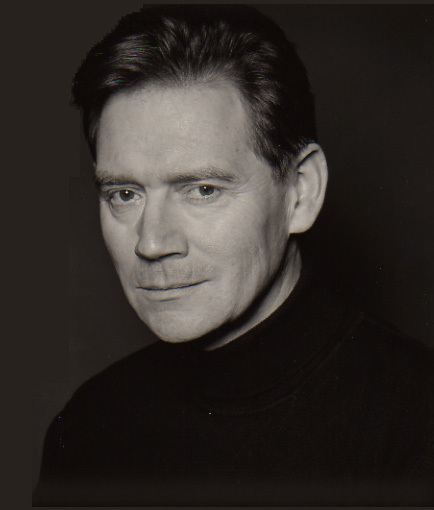 Anthony Andrews made his West End theatre debut at the Apollo Theatre as one of twenty young schoolboys in Alan Bennett’s Forty Years On with Sir John Gielgud. He began his career at the Chichester Festival Theatre in the UK. His theatre credits include spells with the New Shakespeare Company – Romeo and Juliet and A Midsummer Night’s Dream. The Royal National Theatre production of Stephen Poliakoff’s Coming in to Land with Maggie Smith, directed by Peter Hall, Dragon Variations at the Duke of York’s Theatre, the much acclaimed Greenwich Theatre production of Robin Chapman’s One of Us, the successful adaptation of Vertigo and as Pastor Manders in Robin Phillip’s highly acclaimed production of Henrik Ibsen’s Ghosts at the Comedy Theatre in London, produced by Bill Kenwright. Anthony’s first television appearance was in A Beast with Two Backs by Dennis Potter. His first leading role in a series was as the title character in the BBC’s The Fortunes of Nigel by Sir Walter Scott. Subsequently he distinguished himself in various television classics playing Mercutio in Romeo and Juliet, Horner in The Country Wife and Charles Harcourt in London Assurance. He also starred in French without Tears, Superstition and in the series The Pallisers, Upstairs Downstairs, The Duchess of Duke Street and Danger UXB in which he played bomb disposal hero Brian Ash which led directly to his appearance in Brideshead Revisited. Other notable TV appearances include The Law Lord for the BBC, Heartstones and Z for Zacharia for the BBC. The Strange Case of Dr Jekyll and Mr Hyde for which he was nominated for an ACE award in the USA, Sparkling Cyanide and Jewels in the USA which earned him a Golden Globe nomination as best actor in a mini series. Most recent TV appearances include the evil Mr. Murdstone in David Copperfield, a Hallmark/Turner Network Television production for the USA, Boy Dougdale in Nancy Mitford’s Love in a Cold Climate and George VI in Cambridge Spies for the BBC. His films include Operation Daybreak for Warner Bros., A War of Children, Ivanhoe, The Scarlet Pimpernel, QB VII, Suspicion, Under the Volcano directed by John Houston, The Holcroft Covenant, Hannah’s War, The Lighthorsemen, Second Victory, and Mothertime. As a producer, he co-produced Lost in Siberia, filmed entirely in Russia, which received a Golden Globe nomination for Best Foreign Film and Haunted produced by his own production company, Double ‘A’ Films. Over the past two years he has also been very involved in the development of Christopher Isherwood’s ‘Goodbye to Berlin’, a television series which goes into production later this year.